On August 23rd, 1991 the people of the United States started playing with power. Super power. The Super Nintendo launch brought the house of Mario into the world of 16-bit gaming. 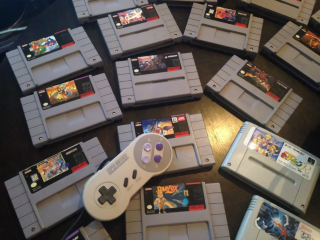 Super NES launch games like Super Mario World, F-Zero, Pilotwings, Gradius 3, and SimCity presaged an astoundingly fruitful five years to come before the Nintendo 64 stepped in. To toast the SNES on its 25th birthday in the US, we take a tour through some of its greatest hits and some of its worst! Sunset Riders, Sailor Moon R, Rockman & Forte, Super Empire Strikes Back, Star Fox, Demon's Crest, and Magic Sword get a turn as we reminisce about Nintendo's 16-bit wonder.